I believe as women we can maintain a sense of self within a committed relationship by being true to ourselves and still allow space to nurture a healthy and happy relationship with our men. 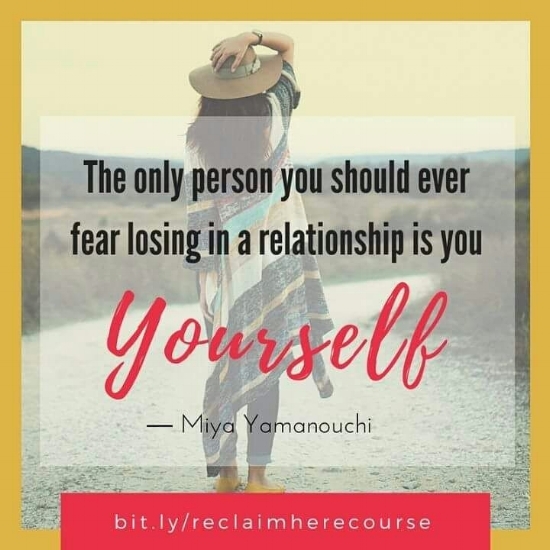 That’s why I created Reclaim Her™a 4-week self-guided e-course, to help women who believe in giving up parts of themselves to make relationships work. Discover daily practices you can implement to create a sense of balance. Relationship stays healthy if both partners feel satisfied as individuals and as a couple.